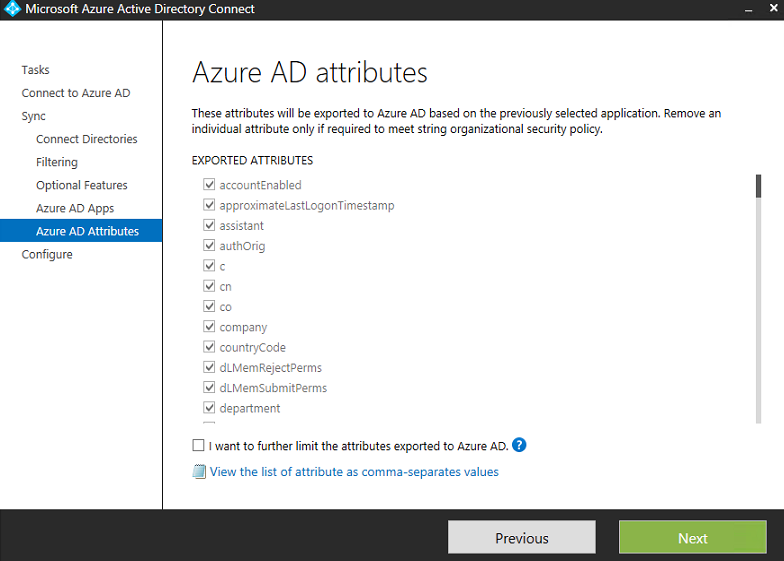 Configuring AD Group Filtering with Microsoft Azure AD Connect Tool. | Chinny Chukwudozie, Cloud Solutions. ← Configuring Hybrid Configuration on Exchange Server 2010 SP3 for Migration to Office 365 (Exchange Online). 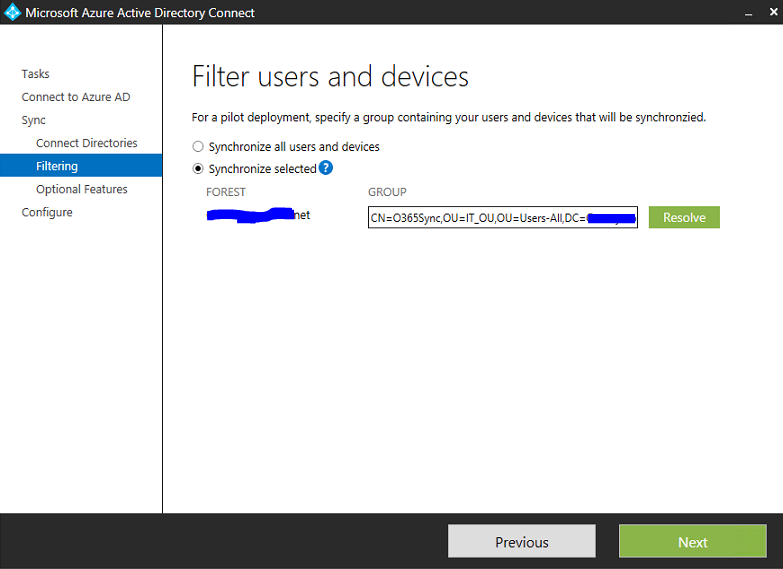 Configuring AD Group Filtering with Microsoft Azure AD Connect Tool. Microsoft has finally introduced Active Directory group filtering with the release of Azure AD Connect. The one tool to replace AADSync and include ADFS functionality.In this post, I will outline my steps for setting up AAD Connect with Single sign-on, password sync, group filtering and the exchange online attributes sync. 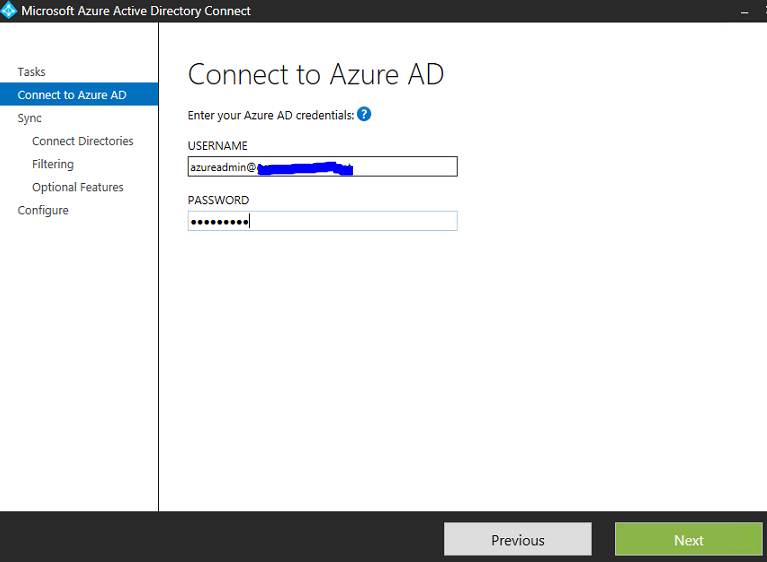 1) Download the Microsoft Azure Active Directory Connect tool at this url. 2) Operating system platform is Windows Server 2012R2. 3) Create an Office 365 tenant. 4) Setup an Office 365 Global Administrator account. 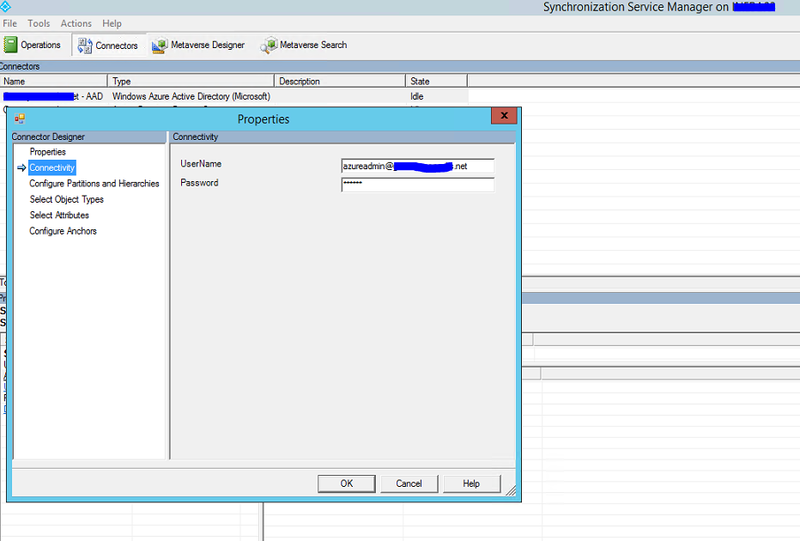 5) Setup an on premise Active Directory account with Enterprise Admin. group membership. 6) Login to the server with the on premise Enterprise Administrator account and run the AzureADConnect.msi. 7) On the Welcome screen, select the Customize button (option). 9) On the “Connect to AADS” screen enter the Enterprise Admin credentials mentioned in point 5. 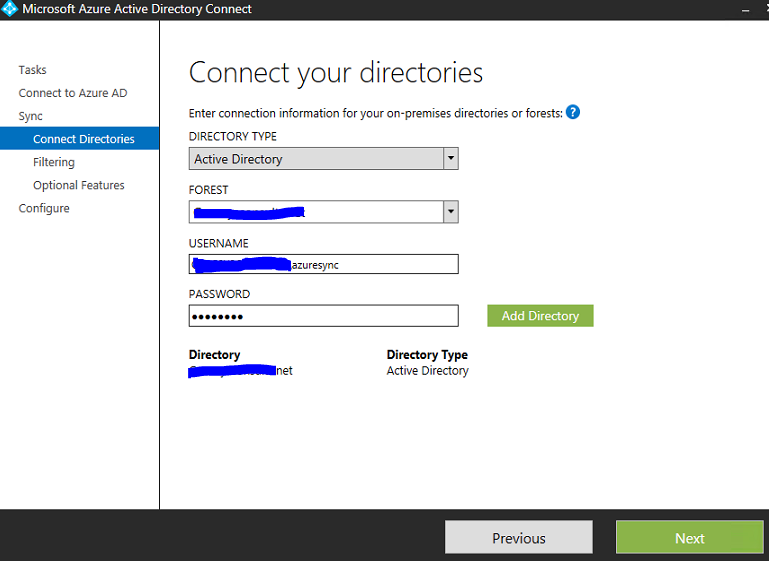 15) Logout of the Sync server and log back in to enable the Enterprise admin account run the AD Connect tool. 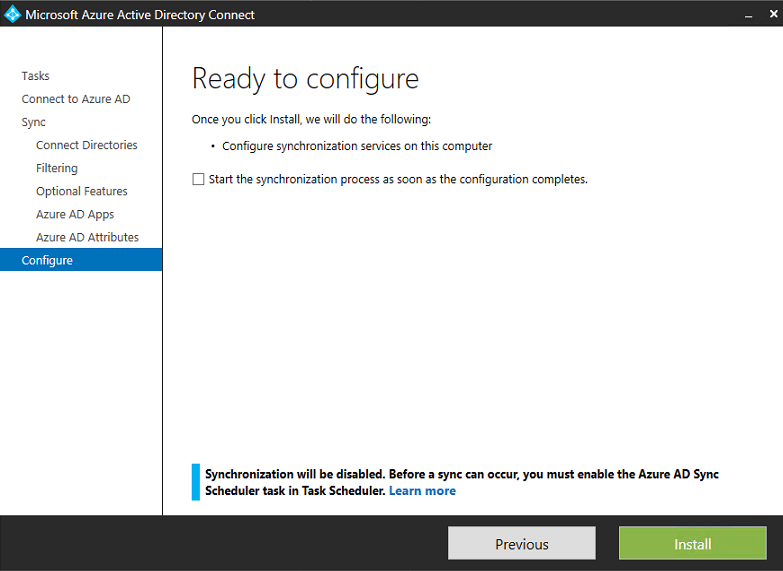 2) The Azure AD Sync task Scheduler failed to lunch a few times. The resolution for this problem was to make sure the task run account had “Logon As A batch” privileges. I set this up using domain group policy. 3) A failed synchronization has also led to a “stopped-extension-dll-exception”. After much troubleshooting, it appears this could have been caused by outdated binaries of the MSOL Sign-in Assistant installed. In this scenario, I did a full uninstall of all the dependent tools, deleted all file and folder references and registries, restarted and did a fresh install. 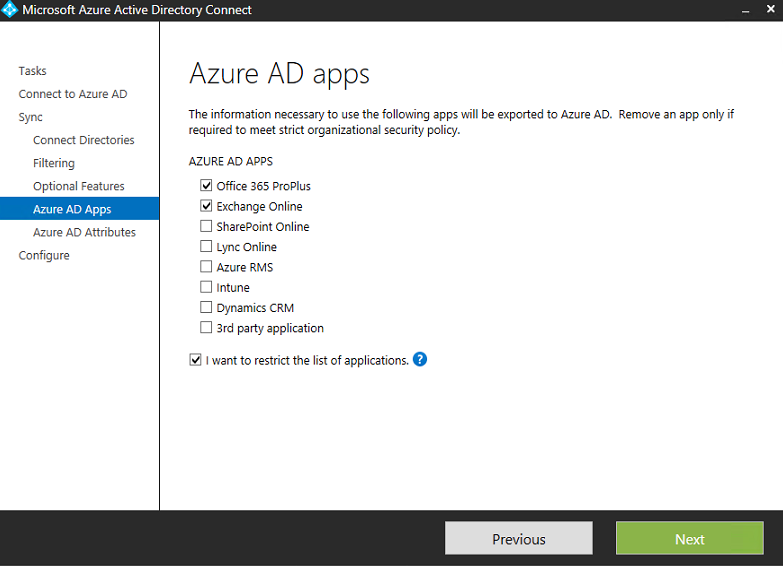 This entry was posted in Azure AD Sync, Azure Windows PowerShell, Directory Synchronization, Office 365, PowerShell, PowerShell 3.0, Powershell 4.0, Windows Server 2012 R2 and tagged Azure AD Connect Office 365. Bookmark the permalink.